The theater owners and exhibitors attending the ShoWest convention in February 1989 had a lot to look forward to. In an attempt to stir their interest in upcoming studio releases, major distributors were showing off stars and footage: Paramount led with Indiana Jones and the Last Crusade, and Columbia had Ghostbusters II. 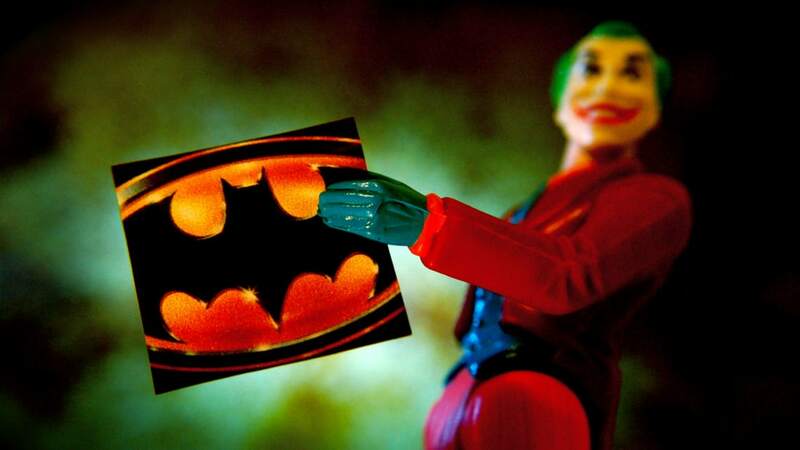 But it was Warner Bros. that caused the biggest stir. In addition to Lethal Weapon 2, the studio had Tim Burton’s Batman, a straight-faced adaptation of the comic, and Michael Keaton—who slipped into a screening of some early footage—was no longer being derided as a poor casting choice. Then, in the midst of all this star power, the studio brought out a 35-year-old actor-writer-director with a shock of orange hair and an Australian accent. The man had never appeared in a feature film before, much less starred in one, but Warner was gambling that his forthcoming comedy about a Tasmanian Albert Einstein who invents rock music and runs into Thomas Edison would be a hit. It had already become the sixth highest-grossing film in Australia's history, besting both E.T. and Rambo: First Blood Part II. 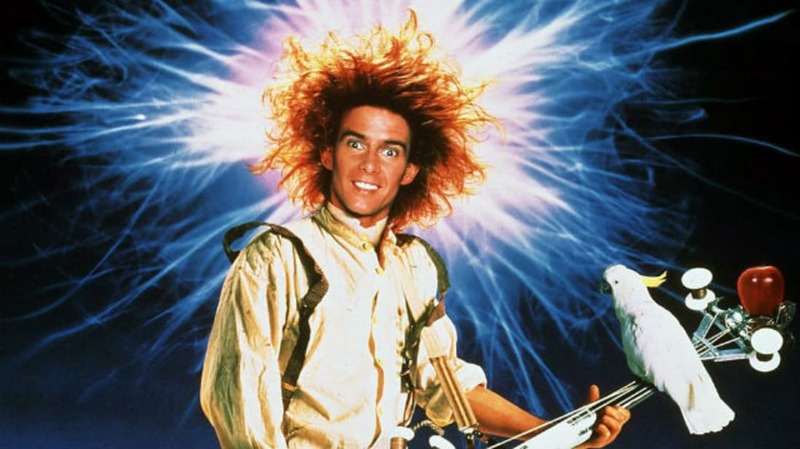 The man’s real name was Greg Pead, but Warner Bros. introduced him as Yahoo Serious, Hollywood’s next big comedy attraction. Born in Cardiff, Australia on July 27, 1953, Serious grew up in rural bush country and mounted car tires at a garage in order to pay his way through the National Art School. When he was expelled for illustrating the school's facade with satirical jokes that the faculty didn’t find particularly funny, Serious moved on to direct Coaltown, a documentary about the coal mining industry, and pursued painting. Serious would later recall that the desire for a larger audience led him away from art and into feature filmmaking. ''It hit me like a ton of bricks one day,” Serious told The New York Times in 1989. “I remember having a cup of coffee and I went, 'Well, look, there is a giant canvas in every little town everywhere around the world. And on this giant canvas there are 24 frames of image on that screen every second and it's the most wonderful living art form. '” It was around this same time, in 1980, that Serious changed his name. To get a feel for the language of film, Serious sat through repeated viewings of Stanley Kubrick's Dr. Strangelove; he aspired to have the kind of total autonomy over his movies that directors like Woody Allen and Charlie Chaplin enjoyed. In 1983, Serious was traveling along the Amazon River when he spotted someone wearing a T-shirt depicting Albert Einstein sticking his tongue out. The image is now pervasive, appearing on posters and other merchandise, but it seemed unique to the performer, who was struck by the idea that Einstein was once young and never took himself too seriously. And the concept for Young Einstein was born. Serious's idea, which transplanted Einstein to Tasmania and imagined encounters with Sigmund Freud, Thomas Edison, and the atomic bomb, took years to assemble. He borrowed camera equipment and sold his car to help finance the film; he shot an eight-minute trailer that convinced investors he was capable of making a feature. His mother even cooked meals for the crew on set. In order to maintain creative control, Serious gave up profit participation in Young Einstein, which he starred in, co-produced, co-wrote, and directed. When the film was released in Australia in 1988, it made an impressive $1.6 million at the box office and drew the attention of Warner Bros., which likely had visions of a Crocodile Dundee-esque hit. American press had a field day with Serious, who appeared on the cover of TIME and was given airtime on MTV. Critics and audiences weren’t quite as enamored. The Orlando Sentinel suggested that "Tedious Oddball" would be a more appropriate name for the film's creator. In his one-star review, Roger Ebert wrote that, "Young Einstein is a one-joke movie, and I didn't laugh much the first time." In the U.S., Young Einstein grossed just over $11 million, a fairly weak showing for a summer comedy. It was bested in its opening weekend by both Ron Howard’s Parenthood and the Sylvester Stallone action-grunter Lock Up. Although American distributors quickly cooled on Serious, Australia's enthusiasm for the filmmaker didn’t dampen. When Serious released 1993’s Reckless Kelly, a fictionalized account of outlaw Ned Kelly, it made $5.4 million in Australia—three times as much as Young Einstein. Serious took a seven-year sabbatical, then returned with 2000’s Mr. Accident, a slapstick comedy about an injury-prone man who tries to thwart a scheme to inject nicotine into eggs. Meeting a tepid critical and financial reception, it would be his third and (likely) final film. At roughly the same time Mr. Accident was released, Serious took issue with upstart search engine Yahoo!, alleging the site was piggybacking on his popularity. He filed a lawsuit, which was quickly dropped when he failed to prove the URL had damaged him in any way. The amused headlines stemming from that incident were the last examples of Serious capturing attention in America. Having completed just three films, no other projects have come to fruition; Serious launched a website detailing some of his background and to air some of his Yahoo!-related grievances. Now 65, Serious currently serves as founding director of the Kokoda Track Foundation, an Australian aid organization dedicated to improving the living conditions of Papua New Guineans. The board’s website lists him as Yahoo Serious, which is the name he claims that all of his family and friends have called him since he changed it in 1980.